One of the unique features of the DIS program are the two study tours that you take during the semester as part of your core course. During the first one, you spend a few days in either Western Denmark or Sweden, and the second study tour is for a week in another country or countries. It is called core course week because you travel for three days, and on the other one or two days you have your core course class in Copenhagen. For the study tour, my class with two teachers, went to the cities of Vejle, Esbjerg, Viborg, Horsens, and Odense in Western Denmark. I would recommend looking up all these cities on a map to truly appreciate how much of Denmark we were able to see in three action packed days. 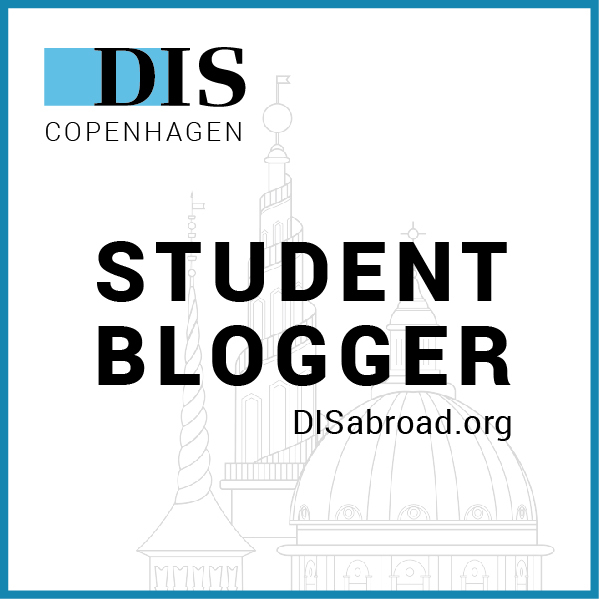 During the study tour, there is a mix of academic visits that connect what you have been learning in class to real world applications, and cultural visits that are designed to be fun and expose you to parts of Danish culture and history. We went on three academic visits and two cultural visits. This week is also a great opportunity for students to grow closer to their classmates and their teachers in a non classroom setting. For the academic visits, we went to a municipality, a region headquarters, and a general practitioner (GP). In each of these visits we were able to talk to people who work in the field and many gave a presentation, after which we were allowed to ask any questions that we had. This was a really good experience because we have been learning all about how these three entities work together as well as the challenges that they face, and it was helpful to be able to hear their perspective on what we learned about in class. The visit to the municipality was in Vejle. There are three main levels of government in the healthcare system in Denmark: the state, the region, and the municipality. The state refers to all of Denmark which is then divided up into five regions, these regions are then divided up into 98 municipalities. All three levels have different responsibilities in the healthcare system and they all have to work together for it to work. This visit was particularly interesting because the municipality is very different from anything in the US and it was hard for many of us in the class to understand its role until we visited one. The municipality is all about offering education and resources to help keep the residents within its domain healthy. This includes everything from sessions on how to quit smoking, sessions for weight loss, and resources for a wide variety of other healthy lifestyle activities. We were able to tour the facility and meet with some of the employees who were all very nice. For the second academic visit, we went to one of the region headquarters in Viborg. This is a very large geographic region and includes a lot of people. The region is mainly responsible for managing hospitals but it is also critical in terms of determining finances with both municipalities and GPs. During this visit, we had a presentation from someone who works there in the main meeting room of the regional council. It is a very cool room and gives off political vibes like the UN. We even got to sit at the politician’s desks. While there, we learned more about what the region does and the challenges they face. The third academic visit was to a GP’s office in Horsens. This was interesting because GP’s play a unique role in the Danish healthcare system as gatekeepers who have to refer patients to more specialized care, even the emergency room. This is in an effort to limit wait times and prevent overtreatment. An interesting fact about GPs in Denmark is that they own their own practices, sometimes in groups, and then are paid by the region. This visit involved mostly a conversation with a GP and it really helped us learn about his perspective and how it differed from what we had learned in class. Our two cultural visits included a visit to the Jelling Stones and a trip to a chocolate shop. Both of these were very fun. At the Jelling Stones, located near Vejle, we learned more about the history of Denmark and were able to see relics from key turning points in Danish history. We also learned where the word Bluetooth comes from. (If you don’t know, you should definitely look it up. As a preview, it was a persons name). I would recommend visiting it if you have time to also see the burial mounds and an old church on the site. At the chocolate shop, we met with a chocolate maker and made a traditional Danish treat called Flødeboller. It consists of a marshmallow like substance on a wafer, and then covered in chocolate. Oh, and did I mention that there were chocolate samples! In addition to these visits, we also had two group dinners and a group lunch which were helped everyone get to know each other better. On the last day we had a wrap up where went over what we learned from the visits. As this is for a class, we had some group work that we had to do but it was interesting. On Thursday we had time to work on our class projects and then we got Friday off. Other classes have different schedules and go to different places like Aarhus and Sweden. In addition, while our tour was in the beginning of the week, others had their tour at the end of the week. Overall, it was an amazing experience that is only possible at DIS. Thank you for reading this longer post. I just had so much to write about. As always feel free to reach out with questions. Have a good week!